At the tender age of 15, Adam Lane moved out of home and started cooking spaghetti Bolognese for his friends… little did he know several years later he would be on the pans in France and the United Kingdom honing his craft. 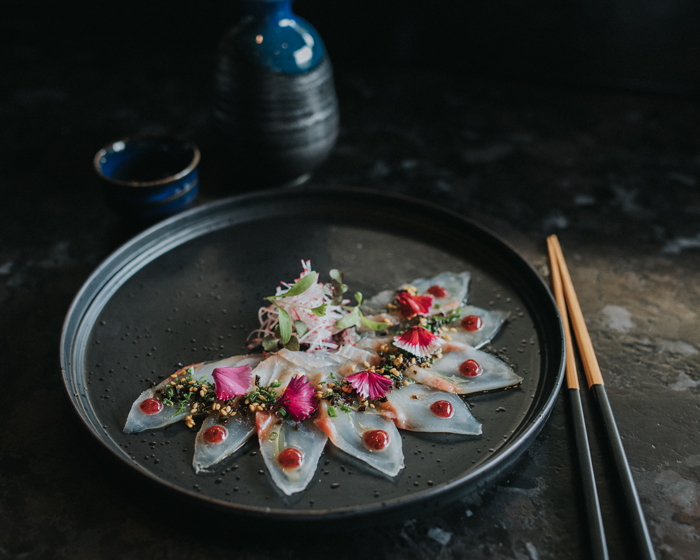 These days Adam calls the Gold Coast home and as Executive Chef at Yamagen in Surfers Paradise creates innovative, stunningly spectacular Japanese fare from inside the QT Hotel on Staghorn Avenue. No, he’s not Japanese – but his dishes are and have won accolades from all over the country for a boundary-pushing menu, taking sophisticated Asian dining to a new level. So, what piqued his interest in Japanese cuisine? "Working at Tetsuya’s in Sydney completely changed my thinking about food. After working in French and British restaurants with the use of lots of butter and heavy jus, the light and delicate flavours had me hooked,” he tells AGFG. Working with celebrated Chefs such as Nobu Matsuhisa and David Thompson brought life lessons into perspective for Adam and enhanced his love for Asian cuisine. "When I first met Nobu san, it struck me how humble he was. This famous Chef with numerous restaurants around the world, who rubs shoulders with the rich and famous, always took the time to say hello to every staff member. It taught me to always stay humble,” Adam says. Still in the kitchen, Adam says it is an honour to cook food that creates a memorable experience between family and friends and loves seeing guests enjoy his food, knowing they are having a great time. Adam is always challenging himself creatively, which is what he loves the most about his job. With dishes as visually spectacular as they taste, he says the key to plating such vibrant colours and flavours is trial and error; it may take 10 attempts before he is happy, and the dish goes on the menu. 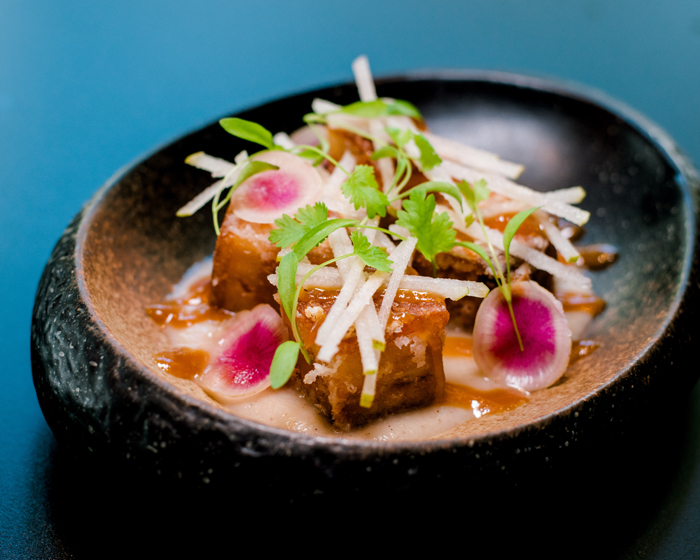 Adam shares his recipe for crispy pork belly with Nashi pear, wasabi, watermelon radish and smoked vinegar as an example of how much thought goes into every dish at Yamagen to showcase a balanced complexity of flavours and methods. Sitting pretty atop Nashi puree, the pork belly is enhanced by rich, salty and sweet den miso sauce, while the watermelon radish and pear matchsticks add colour and texture. As for his most eyebrow-raising dish, Adam points to thinly sliced snapper, truffled tosazu, shio kombu, ume boshi and yuzu sesame (our cover image for this week). 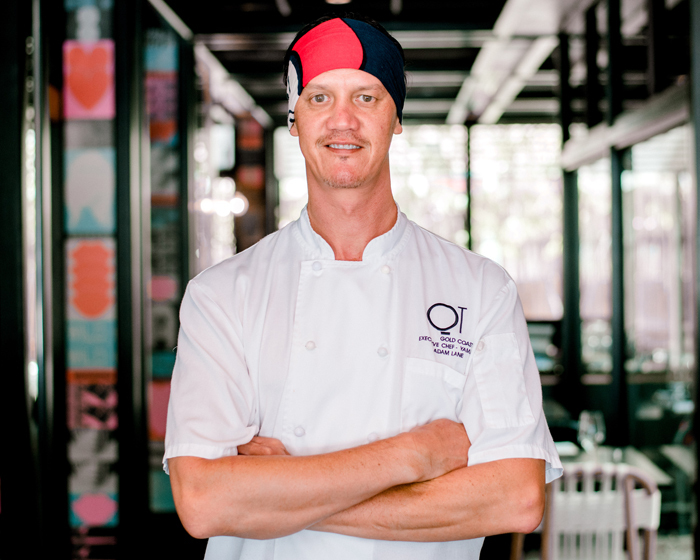 As for the future, Adam hopes for every QT Hotel to have a Yamagen on board… sharing his love of Japanese cuisine with diners around Australia and plating up mind blowing meals for all to enjoy.